Welcome to 31 Nightmares at Outpost Zeta. It’s Halloween season and while many people are going to watch a horror film every day up to the 31st, I thought I’d do something different. Every day I will be posting a mini-essay about the Nightmare on Elm St. series. 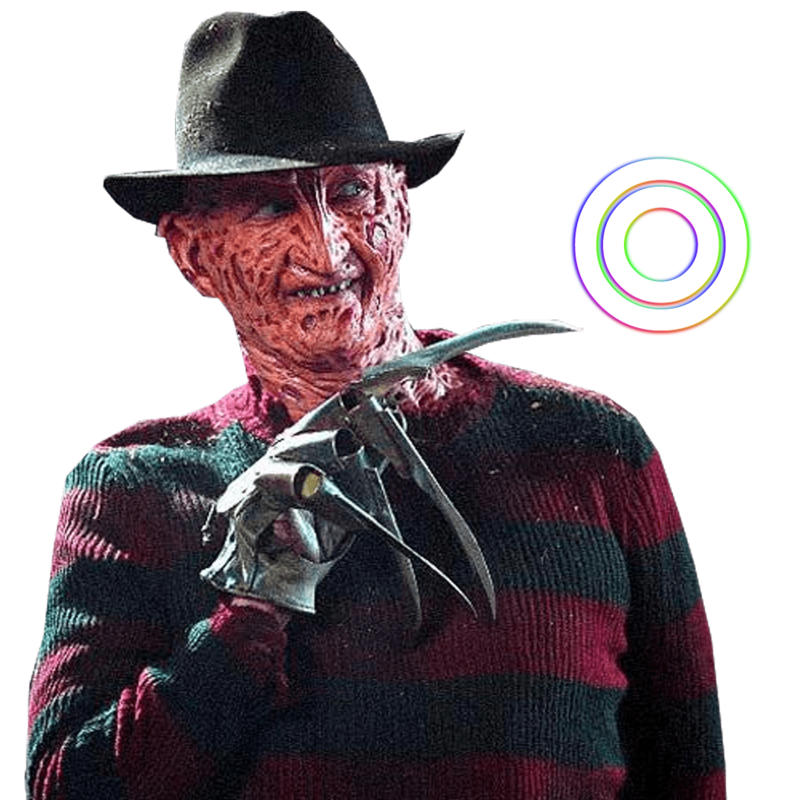 I will be covering the films, characters, iconography, comics, music, all kinds of things that are part of the weird phenomenon of Freddy Krueger becoming a pop culture icon. In Western popular culture, there are a number of horror icons, Jason, Leatherface, Michael Meyers, and Pinhead, just to name a few. Most of these characters rose to prominence in the public eye during the horror boom of the 1970s through the 1980s. For a kid growing up in the 1980s, Jason and Freddy burned the brightest, and you tended to have a favorite. Freddy was mine by a long shot. Like any good monster, my parents weren’t very thrilled by my obsession which only made me like him more. Explaining to someone how a fictional child murderer became a hit with kids and adults alike, not to mention launching a multimedia empire and turning a small movie studio into a major player, would require some doing. I’m still not sure myself, but maybe we’ll figure it out together along the way. I hope you visit every day for a little Freddy and Company. You are of course, welcome and encouraged to send any Nightmare on Elm St. love as well to glittergodzilla@outpost-zeta.com.